Columbia, Mo. (March 20, 2015) — Photojournalism Professor Rita Reed is the 2015 recipient of the National Press Photographers Association‘s Morris Berman Citation. The honor, given annually and named after a past NPPA president, is presented to recognize special contributions that advance the interests of photojournalism. Winners are selected from a pool of people nominated by the membership of the organization. Reed first came to the School as a visiting professor in 2000 and officially joined the photojournalism faculty in 2001. 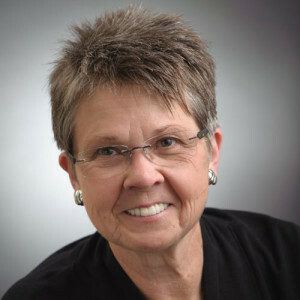 She spent 20 years as a working photojournalist with Star Tribune in Minneapolis and The Gazette in Cedar Rapids, Iowa. Reed has worked not only on local, regional and national stories, but also internationally in Haiti, Bolivia, Colombia, Taiwan, China and the countries of the former Eastern Block. Reed is also director of the College Photographer of the Year competition, and she has made significant contributions to the program during her time of leadership. Reed negotiated the sponsorship with Nikon, eliminating entry fees for students. She also created a podcast archive of judging sessions, which are regularly used in photojournalism education at a number of schools. Under her leadership, the number of CPOY entrants has doubled. Reed holds a master’s degree in journalism from the University of Missouri and a bachelor’s degree from Southwest Missouri State University. She was the 1993 recipient of the Nikon Sabbatical Grant for Documentary Photography for the completion of work on a photographic book about gay and lesbian teenagers. Reed maintains an interest in and concern for adolescents and the issues they face. Reed teaches Advanced Techniques in Photojournalism and Picture Story and Photographic Essay at the School of Journalism. NPPA’s annual honors and recognitions were presented March 14 during the annual NPAA Northern Short Course workshop in Fairfax, Virginia. Aug 27, 2008: Missouri Photojournalism Faculty and Students Document Life in Historic Arrow Rock, Mo.